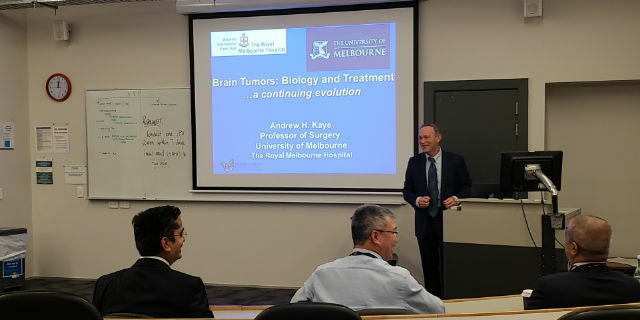 Professor Andrew H. Kaye recently delivered an address on Advances in the Treatment of Gliomas. 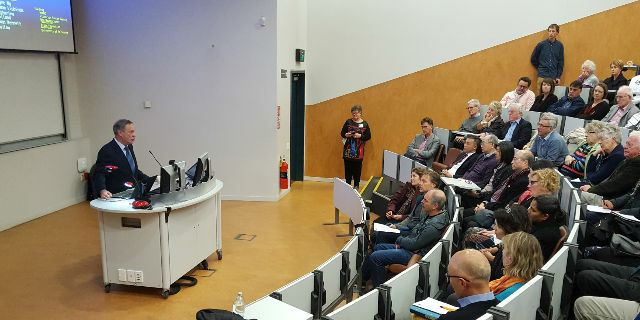 Professor Andrew H. Kaye recently delivered an address on Advances in the Treatment of Gliomas at the Gillies McIndoe Research Institute Eminent Speakers' Programme in Wellington New Zealand. Professor Kaye is the Head of the Department of Surgery in the Melbourne Medical School, and the James Stewart Chair of Surgery at the Royal Melbourne Hospital.